With annual footwear sales of $21.1 billion, Nike is still number 1 in the global sneaker market, even if Adidas has recently gained some ground on the U.S. sportswear giant. 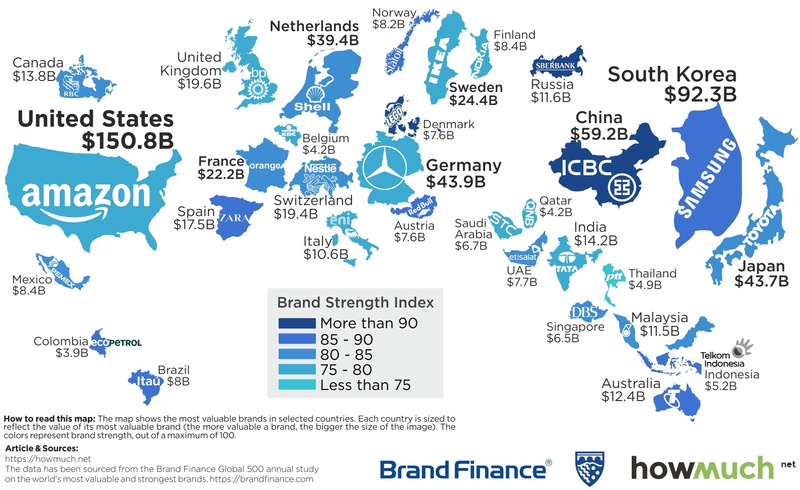 Amazon, which ranks as the world’s top brand at $150.8 billion, the next biggest brand in any other country is Samsung (South Korea) at $92.3 billion. Apple’s iOS is losing ground in the smartphone market in a number of key countries.